Despite a heavy build-out of gas plants over the last two decades, the United States is moving solidly in the direction of an electricity grid dominated by renewable energy. And as we reach higher penetrations, the needs change. Some of the more forward-looking models suggest we’ll need on the order of 12 hours to three weeks worth of energy storage to move to an 80% and then 100% solar- and wind-powered grid. A recently published report by the U.S. Department of Energy’s (DOE) Lawrence Berkeley National Laboratory (LBNL), Impacts of High Variable Renewable Energy Futures on Whole Electricity Prices, and on Electric-Sector Decision Making (PDF), shows that another affect will be aggressive downward pressure on wholesale electricity prices as solar and wind approach 50% of all electricity. This top-line observation was heavily picked up by the energy press, and is already happening in a number of regions such as the Plains States and Texas, where wind is sinking wholesale power prices. However, this is only the beginning of the changes that are explored in the report. We’re all familiar with the duck curve, and it will come to be across all regions – instead of just California and New England. However, a lot more than just an evening peak will have to be dealt with. The report suggests a shift from having an evening peak in pricing, to having both a morning and an evening peak – with the evening being more pronounced than it is now. The high wind regions have peak pricing in the early evening also, however its lower than solar’s peak and more of the pricing during the day is steadier. Also occurring will be an increase in ancillary service prices, as well as an expansion of their needs, as renewables increase. And while these needs aren’t sufficient under current conditions to support a massive energy storage market on their own – note that a single Tesla 100MW/129MWh battery was able to take 55% of revenue in South Australia – they will drive a significantly bigger market than is seen today in the United States (and maybe bigger than the what is projected as becoming viable with recent FERC rulings). And not only will the periods of peak power and ancillary services needs become more expensive and deeper, we’ll also start to have “skinny peaks”. “Skinny” is of course relative. Instead of being from 11 AM till 9 PM, ten hours long, our peak needs will be 5 to 10 PM, and in some regions they’ll be tighter and taller than even California. The broader essence is that everyone will start to look like California as solar and wind spread their wings. The result of this will be that “peak” power will become more valuable, and more needed. And since we’re rapidly moving towards a post-gas peaker plant world, this expanding market – bigger than the gas peaker market today – is going to be a revenue bounty for the once a day, four-hour lithium ion energy storage developers. There is no escaping the cheap electricity that will be available during the day with heavy solar power penetration. This will also occur with wind power growth. The report suggests between 3% and 19% of hours in the high renewables projections will be priced at $0/MWh. 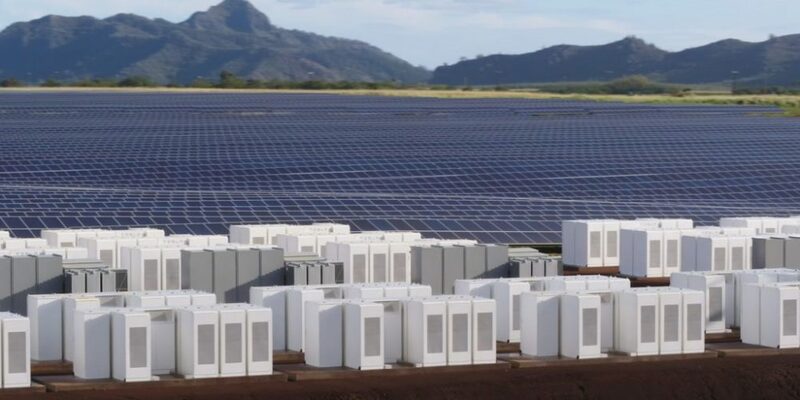 This will be a boon to energy storage projects needing to cover other periods, and it will benefit solar and wind developers also – as will actually drive the price of the cheap electricity above $0/MWh simply because there will be significant market opportunity in soaking up that excess power and reselling it at higher-priced times. In a way, the increasingly intermittent electricity production that comes from solar and wind drives a need for instantaneously reacting energy storage. And energy storage just so happens to thrive in this potential model that is created by the intermittent nature of renewables across the United States. As sort of, symbiotic mutualistic feedback loop will develop. The report by LBNL really covers a broad swath of potential outcomes as a result of higher penetrations of wind and solar. Lower wholesale prices, more hours at $0/MWh, greater pricing variance at different times of the day, and ancillary service prices as much as nine times higher. This is a fundamentally different market than exists today. And as the market incrementally shifts, the approaching zero marginal energy costs from sunshine and wind that have inspired much hand-wringing will end up being a driver of the broader value chain that comes out of the solar+wind+energy storage power grid ecosystem. We are moving to a future of cheap electricity, to feed energy storage that has ample time and opportunity to make use of itself. 1. Wind is not the only thing sinking wholesale prices in the U.S.
2. Trying to use the Australian Tesla battery as an example in the U.S. is problematic. South Australia has some of the highest retail electricity prices in the world. One reason for this is much of the continent’s domestically produced gas is being exported as LNG to Asian markets to the detriment of the country’s own electric customers. There have also been allegations that some of the merchants are engaging in predatory pricing. While I do not know enough about the South Australian market to be completely conversant, I speculate that part of this price decrease from the battery might have occurred if there was ANY new independent source of dispatchable power that could be used for frequency regulation. 3. Frequency regulation is not a huge share of overall power. It is a niche market with a premium price. It is not the same thing as daily storage. Nor is extreme peak demand a huge share of overall power. I am not aware of any study for the U.S. that quantifies this, but there are numbers for California, and peak demand was about 1.3% of overall electric consumption for 2016. And fleet conversion would probably occur over a 20- to 30-year time span as the old assets are retired. 4. Regarding the belief that so much cheap intermittent renewable power will flood the market and lower as much as 19% of the supply to $0, this lack of compensation is obviously self limiting to developers without at least some amount of daily storage. The November 2017 Lazard’s benchmark estimates wholesale costs of lithium batteries at 28¢/kwh for peak demand. In the near term, I do not think battery costs will fall enough to compete (except in niche markets). Even if the energy price is $0, the compensating battery cost will likely be quite high. 5. The “different market” you predict may not be the best one. Rather than reconfiguring the entire grid for intermittent power, maybe we should find ways to bring the cost of dispatchable renewable power down below batteries. 1. When that gas learns to cover its C)2 tracks – then it has a real argument against competing with intermittents. Regarding 2/3 – Do you know the size of the ancillary/frequency market in the USA? I’ve seen others suggest a small amount of energy storage opportunity in these areas due to what you said. that are something special. I don’t believe that anywhere near 28¢/kWh will be the final number for four hour storage – under 5¢/kWh. 5. Great idea. But consider – one of the reasons I got into solar power was because I made a judgment call that it had crossed its precipice and was going bigtime for a variety of reasons. These other dispatchable renewable sources (or just CO2 free for me – nuclear) all have/had their chances…lets go! Hydrogen should be able to make a dent with storage or vehicles…but maybe. Automobiles and batteries might be the reasons solar + wind + batteries win out. If you are to be judged by your photo, we are probably similar in age. So it is likely you remember all the hyped technologies during the Energy Crises of the 70s and 80s, and the desperate public that wanted to believe it. We are in another kind of energy crisis today, with many people again desperately wanting to believe that carbon-free technologies work. Though I will concede to you that neither of us know, I will be VERY surprised if batteries reach your hoped-for price. If I am proven wrong, then the world will probably be able to stop using carbon-based fuels more quickly. Unfortunately, I will probably be right. Even if batteries themselves fall in price, there are the costs for shipping, installation, taxes, operation, maintenance, charging losses, air conditioning equipment and losses, land, housing, and more. The balance-of-system costs will not fall with the same curve. They are two different variables (no pun intended). I have seen too much hype for too many decades to believe everything that I read and hear.